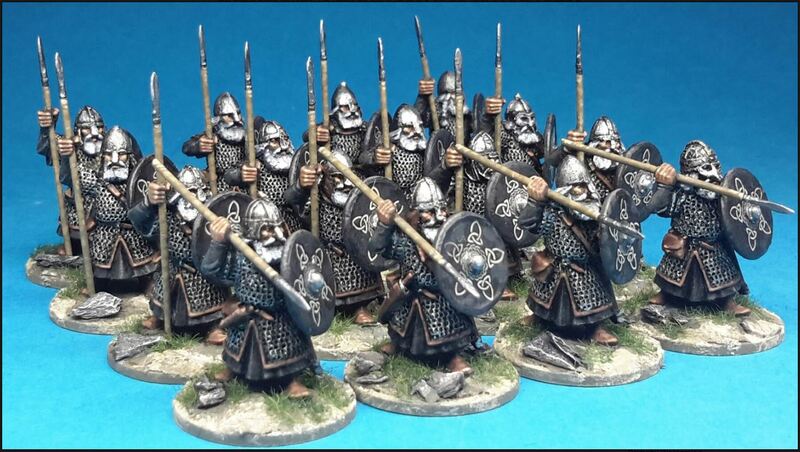 Conqueror Models have just announced a new release of 28mm Dark Age Dwarves. These are sculpted by Colin Patten, who originally sculpted the Vendel Range, which was always one of my favourite range of Dwarf Miniatures. In the meantime, Conqueror models has started to release a new range of Dark Age Dwarves, which I have to say look pretty fantastic. The original release includes eight packs of spearmen, which give a total of 32 unique figures. A Command pack, Hearthguard and Dwarves with Dane Axes. Other troops are promised, so hopefully this will be the start of an extensive range of Dark Age fantasy miniatures from Conqueror. The miniature packs are priced at £6 for four models, but significant savings can be made by purchasing multiple packs. I’ll hopefully be posting a review of the miniatures in the very near future. From what I’ve read on TMP, Andy (the owner of SMM) closed the business this summer due to some health & personal issues. He’s looking to sell the range to someone else, although that hasn’t been done yet.